It was a shock for many when Taylor Swift finally opened up on her standpoint revolving around American politics last week. Being a popular artist, she was able to ignite the voting fire of more than 160,000 people in only two days. Last Sunday, she showed her support for two Democratic candidates on Instagram. With the November midterm elections coming up, Swift had caused a combination of praise and fury. The “I Did Something Bad” singer may not be the very first individual to divulge her political perspective in public, but she is one of the few artists who have loyal fans despite her reputation. Breaking her abstention from political affairs in an Instagram post to her 112 million followers, she seemed to be previously “reluctant” to converse about government issues. However, she explained that due to the circumstances that occurred in her life for the past two years, she was able to mature, which brought a fresh wave of feelings. Swift’s post started with her supporting candidates who push forth certain rights that our country should have. Transitioning to the next topic, Swift then discussed the major fallbacks of voting Tennessee Senator Marsha Blackburn, knowing the fact that Blackburn’s voting record horrifies her. She irately recorded Blackburn’s hostility to equal pay for women, her vote opposing the reauthorization of the Violence Against Women Act and LGBTQ marriage and rights. “These are not MY Tennessee values,” Swift elaborated. The country-pop singer furthered her discussion and wrote that her votes would directly go to Phil Breseden for Senate and Jim Cooper for the House of Representatives. She specifically addressed Swifties (her fanbase) who are 18 years old and above to register and to know more about the candidates by looking them up online. She finished off by telling her fans that they should vote even if they do not completely agree with every single view of the candidate. With convenience, Swift intentionally posted her political views on Instagram on a timely date before the voter registration deadline in Tennessee. However, it is very tough to forget Swift’s own controversial sexual assault lawsuit, bearing in mind that her post was published a day after Brett Kavanaugh became a Supreme Court Justice regardless of his sexual assault accusations. Even though Swift did not mention any of the men, the perfect timing of her post definitely served a statement in supporting women’s rights and equality. According to Vote.org, in the first 24 hours of Swift’s post on Instagram, 65,000 people registered to vote. After another day, more than 240,000 people registered. This evidently proves the massive impact Swift has in this political battlefield. Last Tuesday night, Swift was honored to receive the “Artist of the Year” reward at the American Music Awards. On Wednesday morning, Taylor Swift educated her fans on how to vote. According to her Instagram post, she wished that she knew how to vote when she started her years of adulthood because it would have made the process easier. 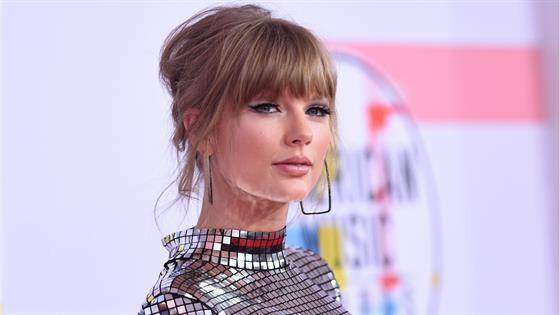 Nevertheless, with Swift’s political advice to her fans, she is slowly helping them to be more vigilant of our government and how it impacts our society.